China may not be the first destination many students think of when they want to go traveling. Given the language barrier and the country’s exotic enormity, it can be intimidating, but that can also be part of its allure... Whether you’re studying abroad in China, taking a gap year, or backpacking through China, this guide will help make your trip-planning more manageable. 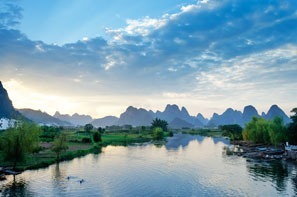 Karst peaks are Yangshuo’s signature topography. Yangshuo is the #1 backpacker destination in China. Located in Guilin, the surrounding area is home to different minority groups, limestone peaks, and fantastic spots for biking, climbing, and photography. Although no longer as “off the beaten path” as it used to be, Yunnan is still an extremely worthwhile place to visit. Home to 25 of China’s 56 ethnic groups and to backpacker favorites like Lijiang and Dali, Yunnan is the perfect place to explore China’s diversity as well as its natural beauty. Tiger Leaping Gorge, a one or two-day hike, is a backpacker favorite, and has less foot traffic than most famous hikes in China. 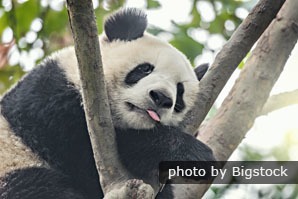 The land of pandas and some of China’s spiciest (and best) food, there’s a reason why Chengdu is a favorite for young travelers. 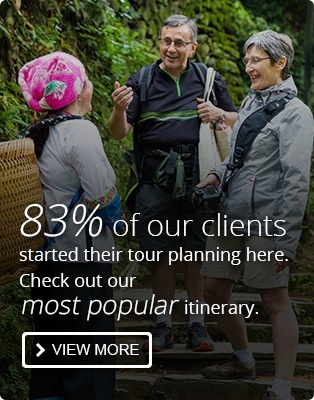 However, most “top China destinations lists” skip over Western Sichuan. 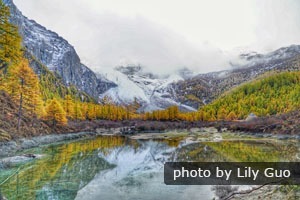 Western Sichuan is not only home to Tibetan minority populations, but some of the most beautiful mountains and scenic drives you’ll encounter in China. If you love mountains, you won’t be disappointed there. If you only have a short break in China (around a week), it can be quite challenging to travel to more remote places of China due to lack of efficient transportation. However, major cities like Beijing and Shanghai (and their outskirts) can provide you with loads of fun and opportunity to better understand Chinese culture. Conveniently, a 5-hour bullet train can shuttle you between the two cities. 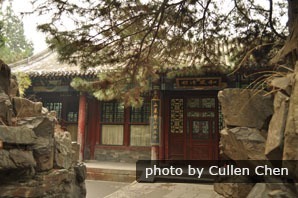 In Beijing, you can conquer the Great Wall and explore the hutongs (alleys in the heart of Beijing with courtyard-style houses). Besides being an economic powerhouse with deep Western influence in Shanghai proper, you can also explore the beautiful West Lake in Hangzhou, canals in Suzhou, or visit traditional villages, like Wuzhen, Xitang, or Zhujiajiao Watertown, nearby. Major cities can also provide with plenty of opportunities for partying. For more on the vastness of places China has to offer see our China City Guide. The busy tourist season in China starts around May 1st and ends at the end of August, with its peak during the summer months of July and August (after school gets out in China). This is the time to travel to meet other travelers your age, but if you’re in popular tourist destinations, it will be hard to avoid crowds. Spring or fall are ideal for weather because temperatures tend to be less extreme (not too hot or too cold) and there aren’t many people at the major sites. However, if you want to get a little off the main tourist circuit during this time, be aware that hostels may be rather empty. Chinese New Year is a good time to come to experience traditional Chinese culture. However, tickets for most modes of transportation will be booked out and you will have to make your way through very, very large crowds (the Spring Festival Migration is the biggest movement of people in the world). Cities become quite quiet during the Spring Festival holiday week, and most shops, businesses, offices, and banks shut, adding to the inconvenience. Spring Festival is based on the lunar calendar, and falls sometime in January or February (check the dates before planning your trip), so it is also cold to freezing throughout most of China. Other holidays to keep in mind: Mid-Autumn Festival (September/October) Golden Week (the week following National Day on October 1st), Tomb Sweeping Festival (around April 4th), and Dragon Boat Festival (in May or June). See more on The Best Times to Travel to China. To experience hiking at 4000+ m in Yading Nature Reserve in Sichuan, you’ll need to make use of local public transport. 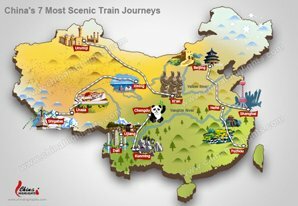 There are a lot of beautiful places in China, but many of them can be extremely far apart, when you are starting your itinerary, look at a map of China. See how far you can feasibly go in the time you have allotted, and what order of cities make sense based on geography. China is a massively large country. If you’re limited on time, getting around via airplane (especially for long distances) is a good option, but can be costly. Alternatively, you can take the train. China has one of the most developed train systems in the world. From high-speed trains to overnight sleeper trains and cheap slow trains, you’ll be able to find a mode of transport within your budget. No matter how cheap it sounds, a night on a hard-seat train is not as wonderful as you imagine. For anything overnight, it’s highly recommended to get at least a hard-sleeper ticket. Plane delays are extremely frequent in China (especially between major cities), so don’t forget that high-speed trains are an option and can be more time efficient depending on the destinations (although may be the same price as a plane ticket). Then there are the buses for more remote locations, short journeys, and even-more economical inter-city travel. There’s always a bus, but some Chinese knowledge is needed here, and a willingness to overcome some discomfort. The quality of roads and buses varies considerably from more developed to rural areas, and some journeys can be very long. See more on The Best Ways To Go To China and Travel Around. 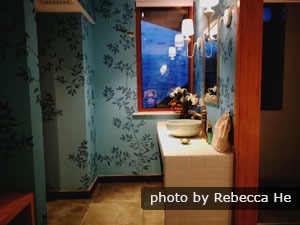 China has comfortable and characteristic hotels. 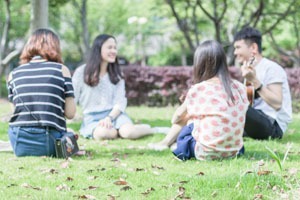 Hostels, as in the rest of the world, are great places to meet fellow travelers and interact with other young Chinese people. Unfortunately, not all of them can take in foreigners: accommodations require a license to offer rooms to foreigners. Some places are more strict than others, but a good rule of thumb is to do some research (or book) on places that do take foreigners before setting off to a destination. There are many accommodations on booking sites that are located in apartment buildings (and hard to find), so make sure you have a specific address and/or contact information before you set off. See more on How to Choose a Hotel in China. If this is your first trip to China, you may worried about traveling on your own. In terms of physical safety, China is one of the safest places you will travel. You will have to pay attention to pickpocketing in crowded areas like major tourist attractions on the subway. 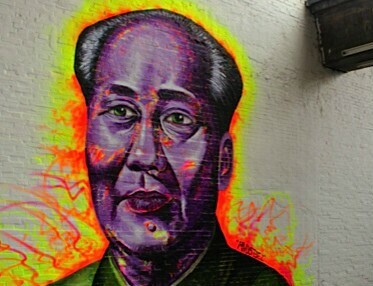 The biggest concern (in large cities like Beijing) are scams. Make sure you’re aware of what scams exist before you go. Make sure you also know and ask the price of anything before you agree to it (research prices beforehand, so you can bargain, if you need to). See more on Is China Safe to Visit? — Traveler Safety Information. Travel in a private car. China is still a developing country. Although the most-famous destinations are relatively easy to get to for the adventurous and patient traveler, some destinations may be logistically harder to reach due to distances or remoteness. 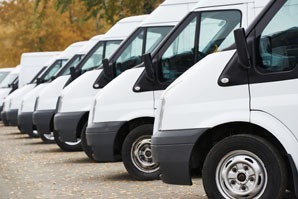 You can consider removing this hassle with our tour service. We allow self-booking of accommodation or transportation, so you only pay for what you need to. 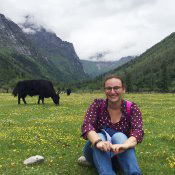 Grab a group of friends together for an 8-day Tibet Tour to Everest Base Camp. 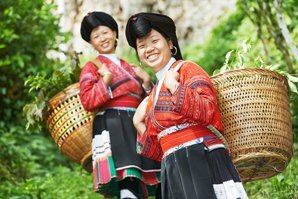 Or join in local minority festivals with our 6-day Guizhou Miao Minority Festival Tour. Check out our 1-day itineraries, like our Longji Rice Terraced Fields and Minority Villages Tour or our Chengdu Food Tour. Short on time? 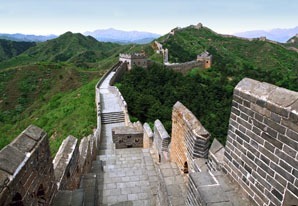 Check out our Beijing Tours or Shanghai Tours. Or simply drop us a message and we’ll put together a plan to suit your interests and budget.